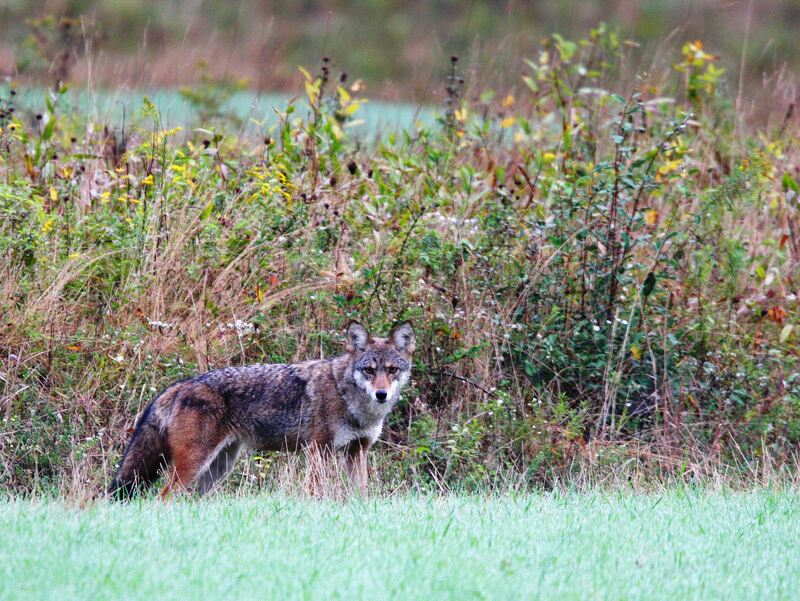 Coyotes are found in rural and urban areas throughout North America. They are not always a threat, but they may attack pets or people. Behavior should dictate control response. 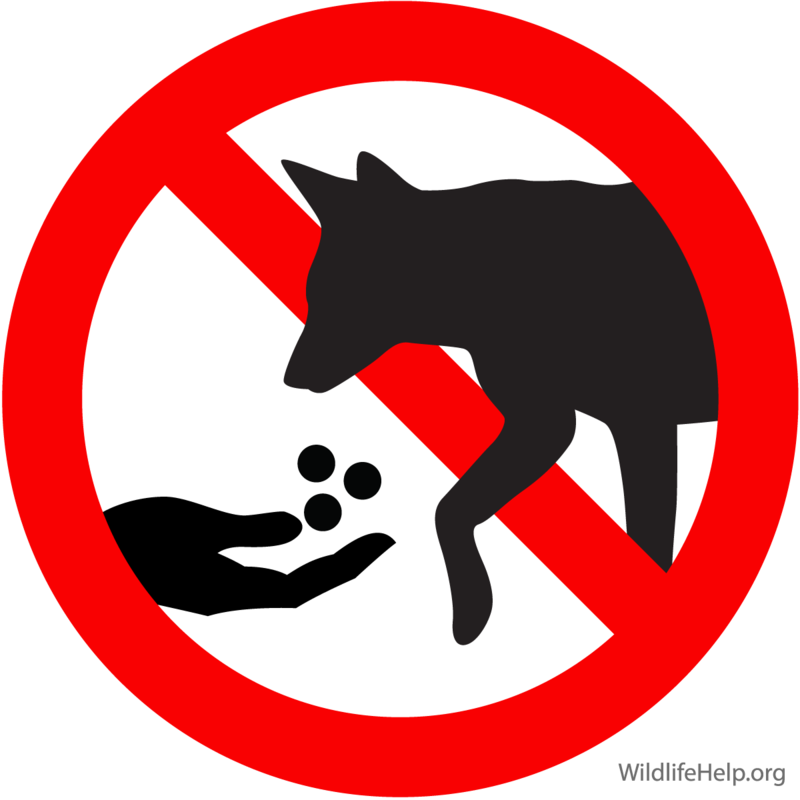 Feeding coyotes directly or by leaving pet food and garbage around for coyotes to scavenge is dangerous to coyotes, pets and people. The coyote is a native wild canine found throughout North America, even in our most urban areas. Their color, size and appearance varies across the range, but they are usually light gray to brownish-yellow with a light gray to cream-colored belly. Adult males in the northeastern U.S. typically weigh 40-45 pounds and females average 30-35 pounds. Coyotes are social animals and commonly yip, bark, and howl to communicate; however, urban dwelling coyotes tend to be quieter. They are most active at night and in early morning. They use sheltered areas, burrows, hollow trees, rock crevices, and thick underbrush, as well under sheds and decks, as dens and resting areas. Coyotes are primarily carnivorous, but also opportunistic. Their diet tends to reflect the most abundant prey species in their area and commonly includes small rodents, rabbits, carrion, deer, waterfowl, livestock, poultry and free-ranging pets. Seasonally they eat fruit and berries. In populated areas they also eat garbage and pet food. Attacks on small dogs and cats are common; attacks on people are rare but increasing. Coyotes can carry rabies. Vaccinate pets and contact your veterinarian if your pet is attacked by coyotes. Report any suspected rabid coyote to local police and report any bites, scratches or other exposure to a health professional for treatment advice. Coyotes fed in campgrounds or parks pose the greatest risk of attacking people. Coyotes living in populated areas get used to people, and are drawn to yards by pets, pet food, garbage and potential denning sites. This proximity causes occasional attacks on humans - including predatory attacks on small children. Preventing conflicts requires increasing awareness of local coyote activity, protecting pets, eliminating food and habitat and, whenever possible, hazing coyotes that encroach into yards and parks in an attempt to aversively condition them.